2017 was a pretty good year for film. La La Land signaled a much awaited return of the musical onto our screens. The musical has been absent since the spellbinding Moulin Rouge back in 2001. We also had the powerful film Manchester by the Sea and Barry Jenkins’ wonderful Moonlight. All of these films were shortlisted for this year’s Academy Awards’ Best Picture Award. For Star Wars buffs, there was the much awaited The Last Jedi featuring Mark Hamill and the late Carrie Fisher. There has also been a superhero fest in Justice League, Wonder Woman, and Spider-Man: Homecoming. Other notable sequels included Transformers: The Last Night and Fate of the Furious, the final installment of the Fast and Furious saga. Fans of Ridley Scott’s Blade Runner finally got to see the sequel his year with Blade Runner 2049, while there was also a new prequel in the Alien saga: Alien Covenant. Lastly, there were a number of comedy hits this year that had audiences roaring with laughter. For the kids there was The Lego Batman Movie and Cars 3, while for us adults, there was Father Figures and The Disaster Artist. Oh, and if that wasn’t enough, there was Pirates of the Caribbean: Dead Men Tell No Tales. Director Babak Najafi made his breakthrough with Sebbe back in 2010. Since then he has shown audiences just how well he is able to make action films. His film London Has Fallen (2016), sequel to the hit Olympus Has Fallen (2013), kept audiences glued to their seats throughout. 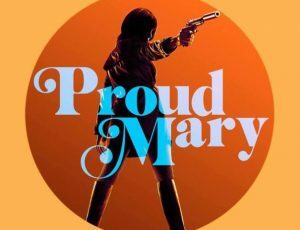 Next year will see the release of his new film Proud Mary starring the talented Taraji P. Henson. She plays Mary, a professional assassin who works exclusively for an organized crime family in Boston. After her latest hit goes wrong, she befriends a young boy who changes her life forever. The last decade has seen a series of Hollywood remakes of horror classics. The Thing, Dawn of the Dead and Texas Chainsaw Massacre have all received the Hollywood remake treatment. 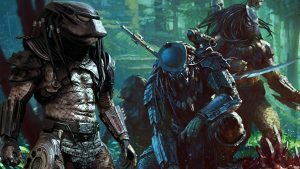 2018 will see lots of horror remakes including a remake of John McTiernan’s original Predator (1987). 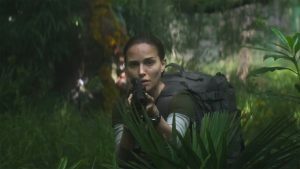 This remake has been a long time coming and will almost certainly feature plenty of scary predator scenes. After the character of T’Challa or Black Panther appeared in Captain America, it seemed inevitable that he would get his own film. Well, he is about to. Featuring in our 10 movies you must see in 2018 is the film Black Panther. 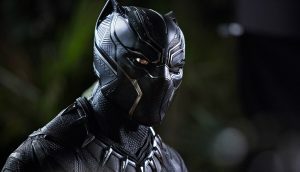 The film promises to be an action bonanza as T’Challa journeys home to take his place as king after his father dies. It features an all-star cast that includes Michael Jordan, Angela Bassett, Forest Whitaker, Lupita Nyong’o, and Martin Freeman. A movie that needs no introduction, The Incredibles was a worldwide hit back in 2004. The only thing surprising about discovering that there was a sequel coming out in 2018 is why it took so long. 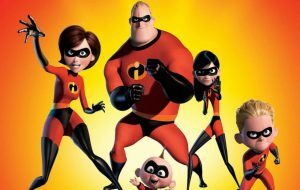 Generally considered as one of Pixar’s best movies (with the exception of Toy Story of course), The Incredibles was the ultimate superhero film for many fans. The sequel will continue on where the first movie left off. It will see a new villain force these loveable superheroes out of retirement and back into action. 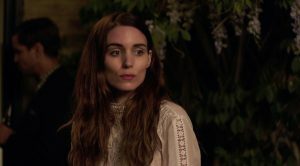 Starring Academy Award nominee Rooney Mara, Mary Magdalene tells the tale of one of Jesus’s closest disciples. She was recently rediscovered by the masses thanks to Dan Brown’s novel The Da Vinci Code which was later made into a film starring Tom Hanks. The family action adventure film Fantastic Beasts was another huge hit for Hollywood. Given the success of the Harry Potter series, it comes as no surprise that this offshoot series would do so well. The original Fantastic Beasts and Where to Find Them was released in 2016. In true Hollywood style, only a year later comes this exciting sequel. It stars Ezra Miller, Johnny Depp, and Katherine Waterston. 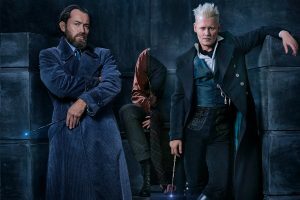 The story follows Newt Scamander and Albus Dumbledore as they do battle with the evil wizard Gellert Grindelwald. To find out the rest, you will have to get down to your local theatre in mid-2018. Author Alex Garland is perhaps most famous for his novel The Beach. Once again the novel was turned into a movie by the same name that starred Leonardo DiCaprio. This time Garland not only wrote the film but chose to direct it too. The film is the story of a biologist who agrees to undertake a research expedition to a new land where the laws of nature don’t apply. It stars Tessa Thompson, Natalie Portman and Jennifer Jason Leigh. Writer / Director Josh Boone was picked to bring the latest installment of the X-Men franchise back to our screens. 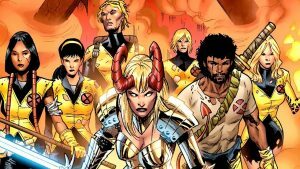 The New Mutants follows 5 mutants as they try to learn how to use their powers while trying to fight their way out of a containment facility. 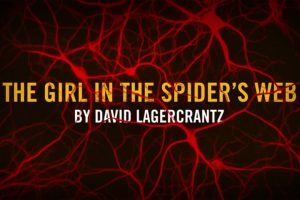 Written by David Lagercrantz, The Girl in the Spider’s Web is the story about journalist Mikael Blomkvist and a young computer hacker by the name of Lisbeth Salander. After Salander attempts to track down a person from her past, she encounters the mysterious ‘Spider Society’. Both Blomkvist and Salander find themselves trapped in a web of cybercriminals and insidious government agencies. The question is, can they find out what is really going on? 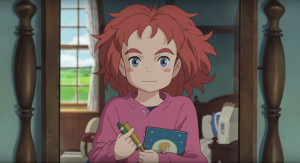 Mary And The Witch’s Flower is a Japanese animation film directed by Hiromasa Yonebayashi. He was involved in the international hit film Spirited Away as an animator. The film is about a young girl named Mary who one day finds a strange flower that has magical powers. It helps her turn into a witch and gives her superpowers that mean she can even fly. These powers only last for one night only, but will it be enough to get her home safe? Goodd article! We are linking to this great content oon our website.